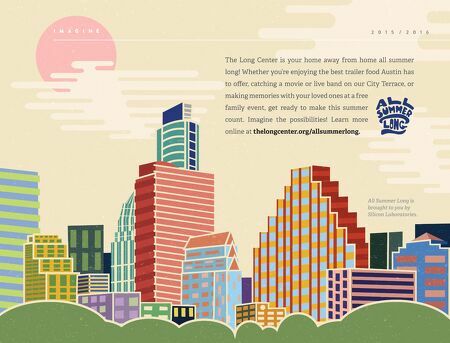 I M A G I N E 2 0 1 5 / 2 0 1 6 The Long Center is your home away from home all summer long! 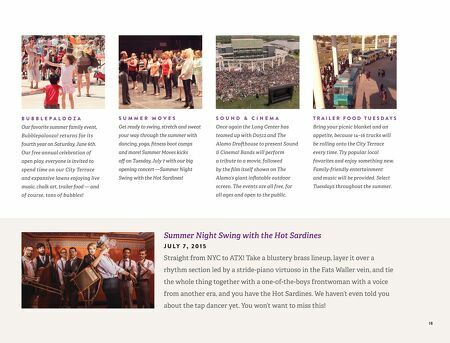 Whether you're enjoying the best trailer food Austin has to offer, catching a movie or live band on our City Terrace, or making memories with your loved ones at a free family event, get ready to make this summer count. Imagine the possibilities! Learn more online at thelongcenter.org/allsummerlong. All Summer Long is brought to you by Silicon Laboratories.